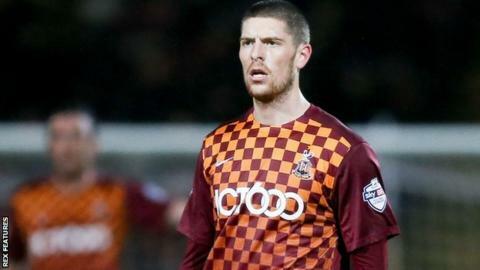 Bradford City have signed striker Jamie Proctor on a deal until the end of the season after Fleetwood cancelled his contract by mutual consent. The 23-year-old joined the Bantams on loan last month, with Bradford striker Devante Cole moving to Fleetwood on a permanent deal. Proctor scored once in two games during his loan spell at Valley Parade. The Bantams, who face leaders Burton on Saturday, are 10th in League One, three points off the play-offs.